The critically acclaimed, recently renewed Hannibal has rapidly developed a large, enthusiastic fan base with an ever-growing online presence. On Thursday night, NBC made the eleventh-hour decision to renew the serial-killer drama Hannibal, a critically acclaimed but low-rated thriller based on the characters from the Thomas Harris novel Red Dragon. The show, created by Bryan Fuller, stars Mads Mikkelsen as Dr. Hannibal Lecter, a psychiatrist who kills and eats his victims, and Hugh Dancy as a criminal profiler Will Graham. NBC's indecision about whether or not to pick up Hannibal for a second season was likely due to the show's subject matter and gore, which push the boundaries of network television with every episode. Its decision to renew the show may be attributable, in part, to the rapidly growing, rabid fan base that has embraced the show and spread its popularity across the internet. The meteoric rise of the Hannibal fandom in the two months since the drama first aired is unprecedented — the last show that inspired such a large, organized, and enthusiastic fandom to emerge immediately after its start was BBC's Sherlock in 2010. Although Hannibal's only been on the air for two months, the show's popularity online is reaching a level of enthusiasm usually reserved for the "Big Three" internet fandoms. After Hannibal's first episode aired on April 4, new fans of the show quickly took to social media sites, particularly Tumblr, en masse, in a way that is rarely seen in fan bases of new shows. Tumblr users worldwide took note of the rapid appearance and organization of the show's fans, who soon dubbed themselves "Fannibals." Although overlap between fandoms on social media sites is quite common, many Hannibal fans appear to be new to online fan communities. 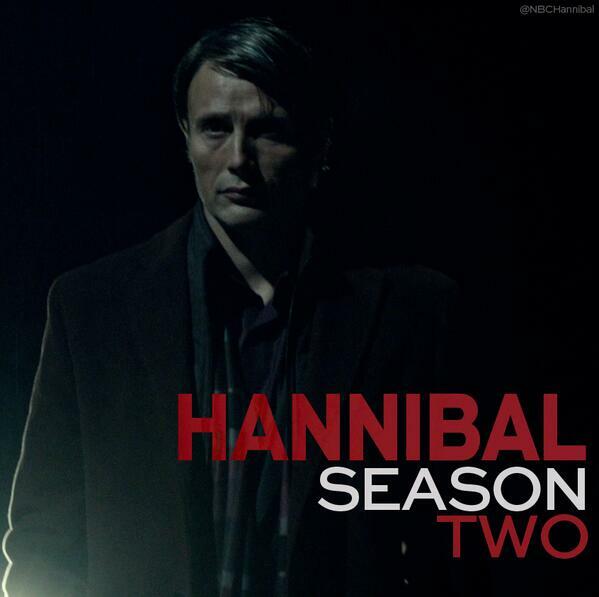 Fans online echoed the television critics, who called Hannibal one of the best new shows of the season. Soon, gorgeous fan art began appearing on Tumblr and DeviantArt. For such a grim and disturbing television show, the fandom is remarkably upbeat. And repurpose its content (with hilarious results). They also enjoy poking fun at their fellow fans' reactions to the show. Soon, other online fandoms began to take notice of the growing group of Fannibals. 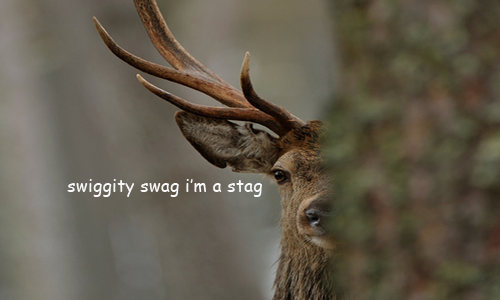 @BryanFuller the Hannibal fandom has scared the crap out of the Big 3 fandoms on tumblr (Sherlock, Dr. Who, SPN). They think we&#39;ll eat them. @BryanFuller the Hannibal fandom has scared the crap out of the Big 3 fandoms on tumblr (Sherlock, Dr. Who, SPN). They think we'll eat them. The fandom is supported on the site by the official NBC Hannibal Tumblr. Unlike most official accounts, NBCHannibal is clearly run by people who understand the website and the show's fans. NBCHannibal's playful interactions with the show's fans are unprecedented for any TV show, let alone one on network television. One of the reasons for the fandom's rapid embrace of the official Tumblr is the blog's clever, humorous use of tags in its posts. There's even a parody account called "NBCHannibalTags" that takes tags from the official blog's posts and pairs them with images from the show. NBCHannibal's rapport with the show's fandom mitigated the online backlash when the network postponed making a renewal decision on Hannibal. Making only slightly veiled threats about eating NBC executives. 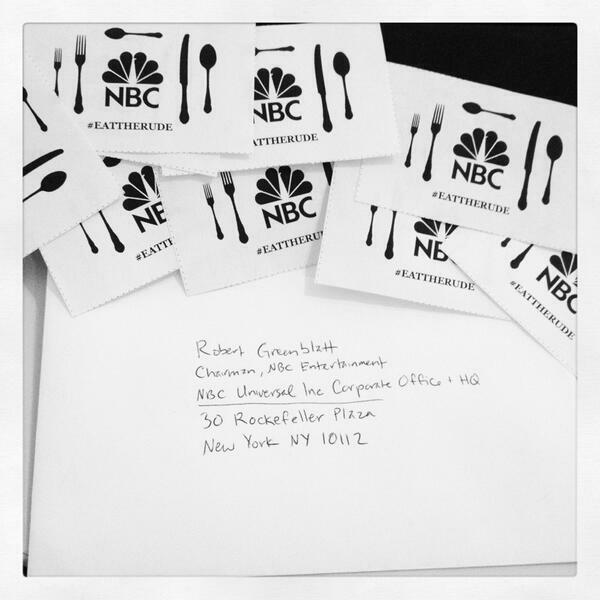 When NBC delayed making a decision about the show's fate, Fannibals organized a campaign to save it, sending letters and business cards to NBC and urging people across social media networks to watch. Guys, let's save #Hannibal #NBC. 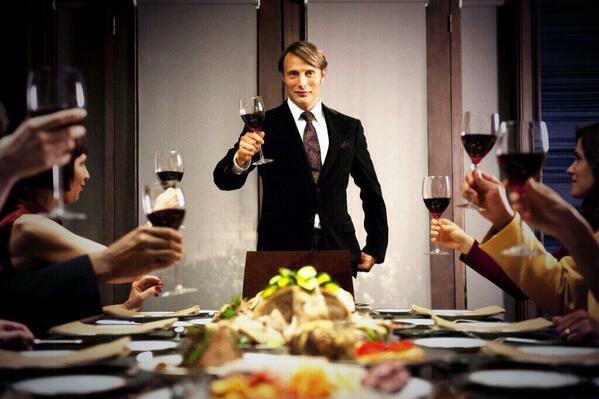 Fortunately for the Fannibals, NBC made the decision to renew Hannibal on May 30, surprising many media critics. Entertainment Weekly reported that it was the "lowest-rated drama to get renewed among the major broadcast networks this season." Showrunner Bryan Fuller made a point of thanking the show's fans when the news was announced. Hannibal airs on NBC (obviously) and is produced by Gaumont International Television, Dino De Laurentiis Company and Living Dead Guy Productions.